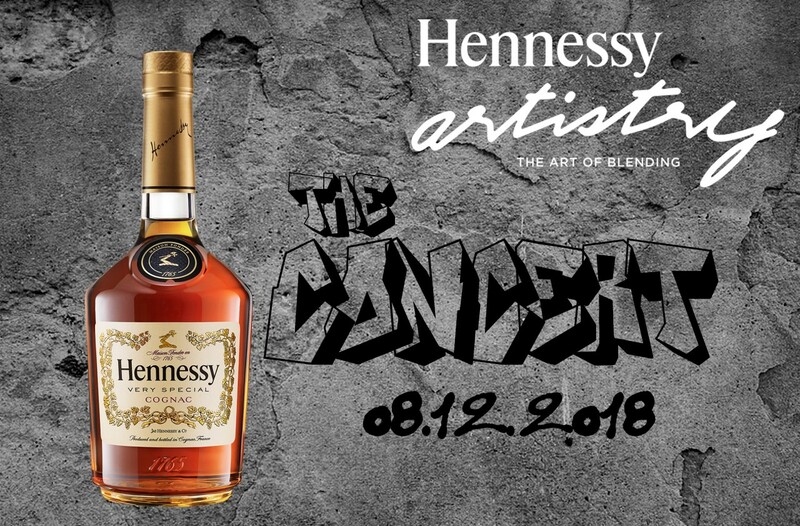 Leading luxury cognac brand, Hennessy Nigeria, is set to host the biggest concert in Lagos this December! The 2018 Hennessy Artistry Concert is set for the 8th of December at the Balmoral, Federal Palace Hotel. Hennessy Artistry is a unique integrated global platform that brings the "art of blending" to life by creating exceptional consumer moments through a fusion of music, art culture and creative talent. The 2018 campaign kicked off mid-year with VS Class Live Auditions across Abuja, Benin and Lagos – which led to 40 aspiring rappers duking it out for the right to be at the VS Class finals which will happen LIVE on the Hennessy Artistry 2018 Concert stage. We will witness an epic hip-hop finale with finalists Full Effex, Gochi, Zade, Kevinword$, Barry Lane and the wildcards; OJ, Kiid Pro & Damideasy, battling it out to be the new face of Hip-hop in Nigeria. This will be the first time that the VS Class Winner will be crowned on the Hennessy Artistry Concert stage. As is our custom, the Hennessy Artistry Concert, is set to once again wow all comers with a spectacular line up of Nigeria's best and brightest Artistes and world class production. Invited guests are truly in for an unforgettable experience. This year, the audience will be thrilled with unforgettable performances from our Headliners; King of Afro-Dance Hall-Timaya, versatile rapper/songwriter- Falz and Voice of the street, legendary rapper and YBNL general – Olamide. They will be accompanied by a constellation of Nigerian stars who will light up Lagos nights in an explosive blend of artistry that will keep all on their toes from the beginning till the end. Join the conversation on social media using the #HennessyArtistry2018 and #HennessyVSClass2018.